Created and led the GIS department at Qwest Communications for the company’s 25,000-mile worldwide fiber optic network. The GIS we built currently held its 25,000-mile worldwide network. The work involved development of the original data paths from GPS positioning and conventional surveying to the system. 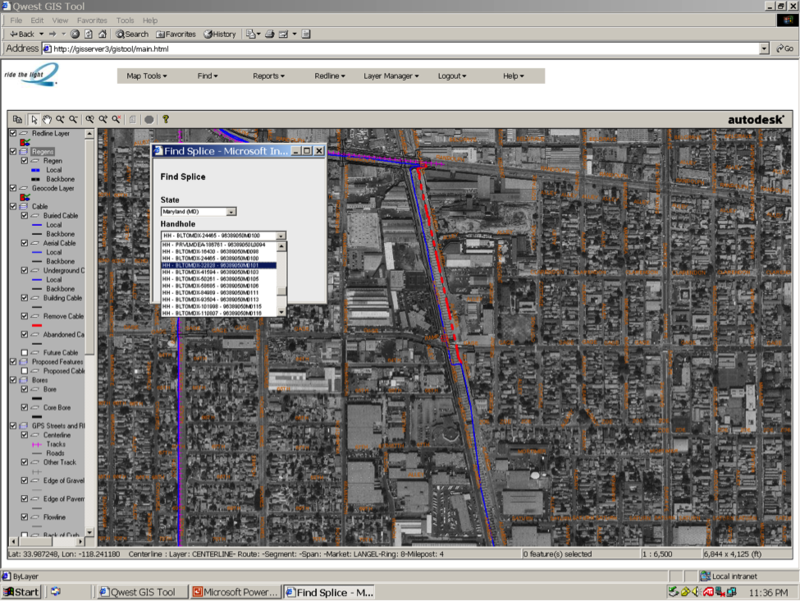 The GIS at Qwest was built on an Oracle Spatial platform. It was pushed out to the web through a MapGuide Web Tool incorporating data from a myriad of sources and linking to other databases in the company.